I’ve been going over a few older images this week and processing them. Some had been done before, this one had not been previously posted. I liked the repetitive shapes and lines. I also found the names of the boats interesting. Can you identify the sources for the names? This entry was posted on May 25, 2015 by johnfuji. 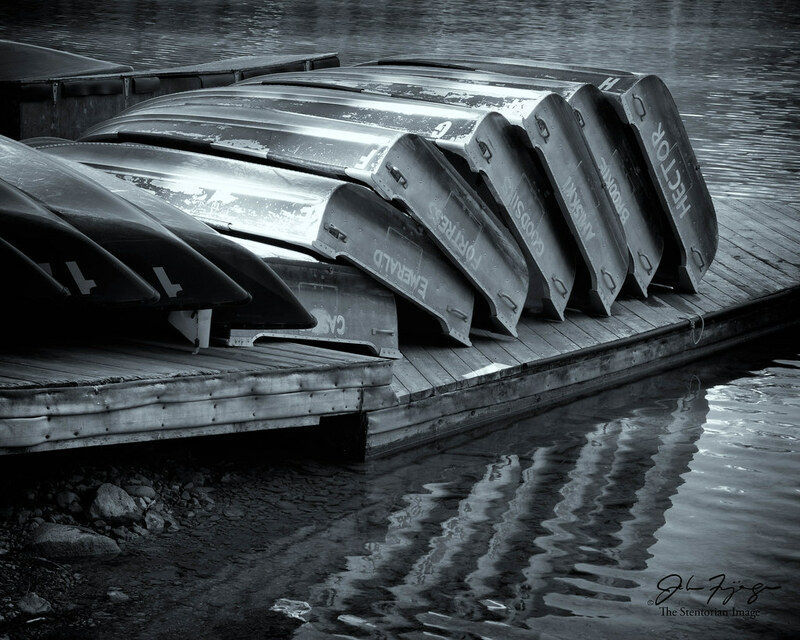 It was filed under Landscape, Locations, Photography and was tagged with b&w, black and white, boat, British Columbia, canoe, Emerald, field, lake, National Park, photography, water, Yoho. I really like the repeating patters the solid boats and in their reflections in the water.